Download it Now! Save $317$99 USD 60 day money back guarantee! 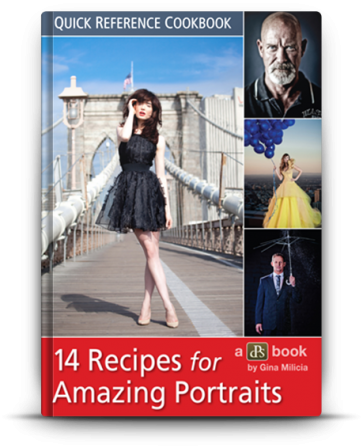 Day 2 of our massive 12 Days of Christmas sale and we have a huge bundle of Portrait Photography resources created by professional photographer Gina Milicia, so you have everything you need to take amazing portraits in the New Year. 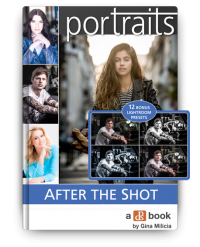 In this bundle you get Gina’s ‘Calling the Shot’ portrait photography course, 6 portrait photography eBooks, a posing guide plus 12 bonus Lightroom presets. It’s worth $416.93 but today it’s yours for just $99! 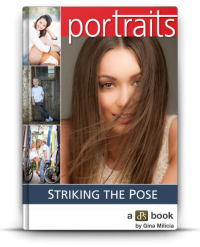 Ready to take your portrait and lifestyle photography to a whole new level? Start learning today with this jam-packed online course. It’s designed to teach you vital directing and posing techniques used by pros. And it will up your game and ensure your portrait shots are better than they have ever been before. 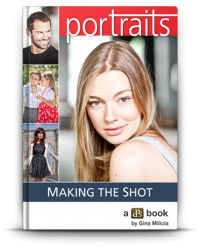 24/7 lifetime access to a private training community featuring 74 training videos to give you the skills you need to transform your portrait photography. These instructional videos are the core of the course and they will change the way you shoot. You’ll have access to 3 hours of training videos, arranged into specific sections, each focusing on a targeted area. You will get immediate access to the videos, and you can choose to binge-watch in one go – or dip in and out of them as you need to. The best part is that you have access to these videos for as long as you want. So you can come back to them whenever you need a refresher. Send pre-shoot preparation emails to female models on what to wear, what to bring, what NOT to wear and so on. Send pre-shoot preparation emails to male models on what to wear, what to bring, what NOT to wear and so on. Checklists for before, during and after the shoot. Today FREE in this bundle! 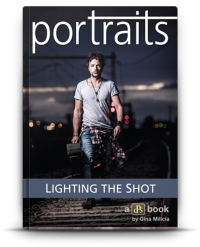 The Way: Gina reveals exactly how she lights & sets up her portrait shoots. You’ll be tempted to skip to this section first, it’s that good! The Gear: discover the best portrait gear with some tips on buying great second hand additions to your kit. The 3 Amigos: This is where many beginner photographers get themselves into a twist, but it’s a lot simpler than you might think. Learn how aperture, ISO and shutter speed work together. The Lights: Step-by-step instructions on using light meters, balancing daylight and flash and creating beautiful skin tone. The Moves: Every pose you’ll need and how to create it, as well as tips on finding inspiration, the importance of preparation and insider tricks on directing the shot. The Rules: The ten golden rules to to live by (when lighting a portrait). The Gear: The gear you need, might need and actually don’t need. The Way: How to ‘see’ the light, by using the ‘force’ in a non nerdy way. This section is GOLD. 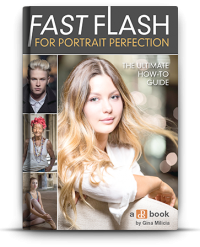 In this eBook Gina shares her extensive knowledge and experience in an easy-to-follow way to help you fast-track your journey to capturing beautiful portraits. The Style: Understand Gina’s style, but importantly how to use all your new skills to create your own. Troubleshooting: How to handle those tricky lighting scenarios. The fundamental rules of great portrait post processing. How keeping it simple can be much more profound. How to leverage post processing to compliment your own style. Bonus: 12 Lightroom presets, yours to keep forever! Q: How will I access the guides? A: They will be provided in PDF format for you to download and view on your computer or tablet. Q: How will I access Gina’s course? A: You will receive a coupon code with instruction on ow to access her course online. Q: What if I’m not satisfied with this posing bundle after I buy it? All up, that’s $416.93 of value. Today you can grab the full bundle – that’s the 74 video training modules, 6 ebooks and posing guide – for just $99. SAVE $317.93 or 76% Off.